ZÜCA warrants that your ZÜCA products are free of defects in materials and craftsmanship. In the unlikely event that a problem does arise with the materials or craftsmanship of a ZÜCA product within the warranty period, please contact our Customer Service Department: 800-799-6548. Unsure if your product is covered by our warranty? Please email your information and pictures of the defective parts to customerservice@zuca.com for review. Purchased from an Authorized ZÜCA Retailer? Have a warranty issue? Please contact the retailer from which the product was purchased to start the warranty replacement process. If the retailer is unable help with your repair, please contact our Customer Service Department: 800-799-6548 or customerservice@zuca.com. We require a copy of the your sales receipt and pictures of the defective parts emailed to customerservice@zuca.com. Warranties are only valid for products purchased through www.zuca.com or from an Authorized ZÜCA Retailer. This warranty gives you specific legal rights, and you may also have other rights, which vary from country to country. Limited lifetime warranty covers against manufacturer’s defects during normal use. 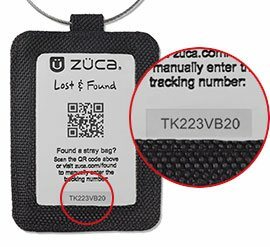 ZÜCA, Inc. warrants these items against manufacturer defects in materials and craftsmanship for a period of ONE (1) YEAR from the date of original purchase. *Warranties do not cover normal wear and tear, accidental damage, misuse, improper care, skateboard contests or product alterations.